The Codemaster XL combines a DC defibrillator / cardioscope, annotated recorder and hands-off defibrillation capabilities into a single, high-performance unit. 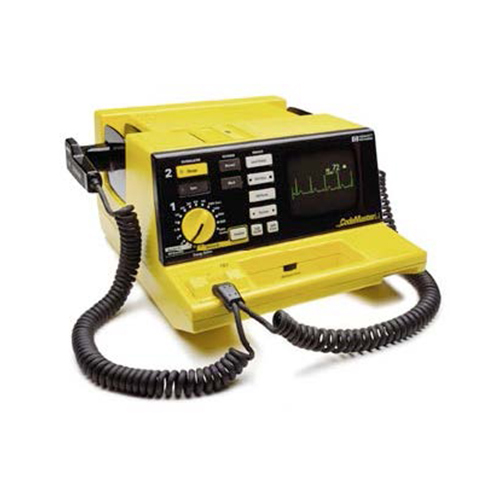 It operates on AC power or internal battery supply and is also available with a noninvasive pacemaker. Designed for high-use areas of the hospital, the high-speed Codemaster XL is perfect for operating rooms, intensive care units,cardiac care units and emergency departments. It changes from zero to 360 joules in under five seconds and offers a variety of advanced options so you can easily customize it to meet your facility’s needs.